1. 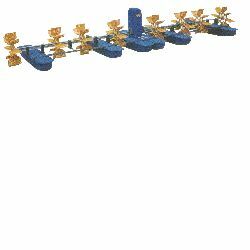 High efficiency multi-impeller paddlewheel aerator, suitable to large area aquaculture. 2. 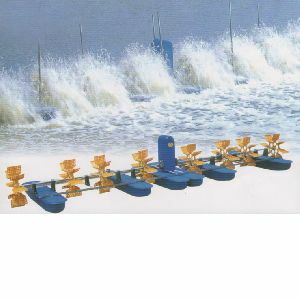 8 impellers with unique special blade angle designs, can create wide and strong water current, providing multiples oxygen supply and good water circulation efficiency for large ponds. 3. Power saving, less power consumption, can save the energy cost of farmers. 4. 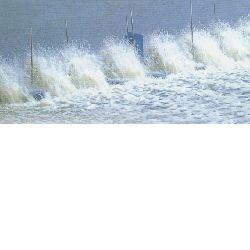 Less quantity of aerator is needed, can save the equipment cost. 5. Stable function, don't need worry for no reason damages.